I met Professor Susan Kress in the most normal way possible: I took her Fiction 211 course in the second semester of my freshman year at Skidmore. I knew deep-down, I think, that I would end up as an English major, having given so much of my life over the years to the reading of books on beach blankets and in front of living room fires. I was eighteen or nineteen and I wanted badly to be in the dramatic-sounding 300-level classes, but first I needed to take Fiction. Professor Kress was everything the movies had led me to expect from a college professor: British and kind, delighted with her students and her subjects, clear in her expectations. I could practically feel myself becoming the intelligent, dashing young academic I so desperately wanted to be. I would be the smartest. I would be the headiest. I would hold forth on the most obscure of topics. 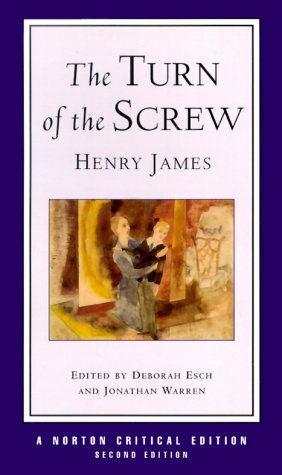 In Fiction we bought two books: the Norton Anthology of Short Fiction and The Turn of the Screw by Henry James. The syllabus listed a bunch of stories, a reaction-journal we were supposed to keep, the final paper assignment, and one surprising command: read each story twice. "Read each story twice," I remember Professor Kress saying. "Once to find out what happens. And once to find out how the writer made it happen." This is probably not an exact quotation, of course-- it's been ten years since that class, and my memory has made some adjustments. But I remember how surprising I found this assignment to be-- there was no way to enforce it, and weren't we such good academics now that we'd really get most of what we needed to get upon the first read? I also remember her adamantly insisting that we mark up the books, something I had not done to these sacred objects before now. For all of my life, I have been a dutiful student. I took my fifth grade teacher's command, "Keep writing!" as a mandate. Every time a teacher said I was good at something, or should do something, I did it. So in Fiction 211 I embarked on the double-reading assignment very seriously. I read everything twice. I read Turn of the Screw twice, too, maybe three times, figuring out how it worked. At Susan's insistence, for the final assignment, I re-read my journals twice and wrote an analysis paper on how my literary criticism skills had changed throughout the course. Although she asked us to turn in our final exams without our names on them so that she could grade them without bias (a truly noble thing to do), I cited myself using the MLA format and therefore used my last name all over the essay (a truly stupid thing to do). She had asked us to document, academically, how our opinions had changed, how our readings had changed, how we had changed. I'm writing this because she's retiring this week from Skidmore, where she was a Dean for the last few years. 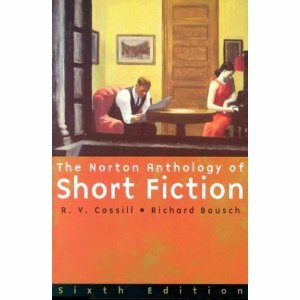 This morning I pulled out my Norton Anthology of Short Fiction, which I have carted around many states and countries over the past ten years. It's not only a book. It is marked up with a sharp pencil. It says '"Restricted third person!!!" "Ha" and "Trains = ?" on many pages. In several places it says, in all caps, with underlining: FORESHADOWING! In the Turn of the Scew, I made such groundbreaking discoveries as "ghosts: real?" My handwriting I can only describe as thrilled. My nineteen-year-old-self is slashing across the pages, finding clues, hunting treasure, making meaning, starring things, making stars, drawing wild and unbridled constellations of little ideas all across the pages. Susan and I crossed paths in my sophomore and junior years, where she gave credence to all sorts of discussions I wanted to have about the nature of education and how to make it more student-centered. For such an obedient student, I wanted to be wild, I wanted to be self-guided, I wanted to be rebellious. She listened. She organized a lecture, "Why Read Closely," and though this should not be a position that needs to be defended, she defended it valiantly and I still remember sitting in the audience agreeing. I became the Student Representative at the English Department Staff meetings and banged my fist upon the table many times. Then, in my senior year, I decided that based on my interest in how education works and my love of literature, to write an academic thesis for the English department on portrayals of educational experiences in literature. I read Jane Eyre again, particularly the parts where she's made to stand in the yard in front of all the schoolgirls. I read Hard Times. I had a whole list of children who were miserable in school, dutiful and tortured, or wild and punished. Susan was my advisor. I sat in her office and spoke rotely about the damages of rote education. I reported on the tyranny of reports. I kept my appointments to analyze the dangers of structured time. "It seems like your heart might not be in this, Julia," Susan said to me one afternoon in her office. "What?" I said, looking up from my stack of well-organized research materials. "You'll have to spend a lot of time on this. It may as well be something you love," she said, or something like that. I don't remember the exact words. But I remember the feeling. She was winding my brain like a clock and it had finally clicked into gear with my heart. She told me, or maybe I suggested, that I should drop my thesis with her and instead write a book-length project of travel essays that I was working on with another professor. That class-- Travel Writing with Linda Simon, another illustrious one-time English department head-- I'd taken without any need for credits (I was actually over my credit limit and was auditing several courses at once, grasping onto every second in the academic world before I had to launch myself into the real one). I walked out of Susan's office and into Linda's and by the end of the afternoon I had a new thesis, halfway done already, and a new advisor. By the end of the year I graduated with department honors. By summertime I was enrolled in an adult education course in Creative Nonfiction, a year later I was accepted into one of the best Creative Nonfiction programs in the country, two years after that I walked out with a Master's in the subject, this year I began running writing programs at the Twain House, and today I run a reading series where I encourage writers of all ages and experiences to try and say something true about themselves. Something they care about. Not something they think they should care about. I see these events as a straight line, taught as a tightrope, with Susan holding one end saying "walk away from me." We don't get to live our lives twice. We all know this. It is not a Choose-Your-Own-Adventure story; it is not an editable blog post. It is a book we write and then re-read over and over, obsessing over what we did and why we did it and how we made it happen-- or truthfully, how others made our lives happen for us. I do not mean to diminish individual achievement, but sometimes people do exactly as they're told and the plot gets moving. Many teachers want to have an effect on unusual, or disobedient, students. But a truly great teacher is aware of the impact she has on those of us who will do exactly as she says. Susan was marking up the pages of my story as fast as I was writing them, underlining things, saying: what does this really mean? Is that what you meant to say? Change it now while you still have time. It wasn't what I meant to say, and she knew it. It wasn't what I meant to be. She saw the foreshadowing: that I loved to read, that I loved to write. That I was taking extra writing classes simply for fun. That I read things twice: first because I want to know what happens, then because I want to know why. And that I was applying the same process to my essays. My teachers have not changed my life; they have written it. Or at least some topic sentences, from which I write the paragraph. It is an awesome responsibility, to be such a ghostwriter. Susan would probably say that I did it myself all along, that there are no ghosts in this story. But-- I might counter-- in Turn of the Screw, we never really know one way or the other if the ghosts are real. A close reader can find evidence of both conclusions. I've read it several times.